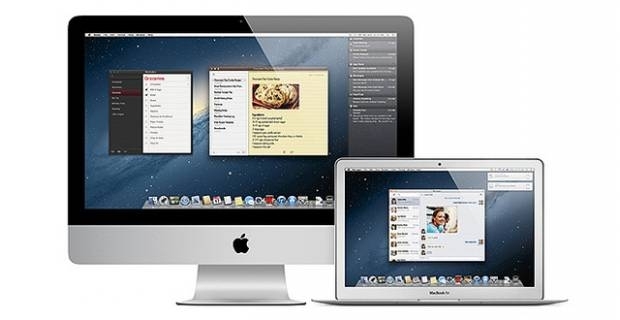 Apple rolled out a major update to its OS X Mountain Lion operating system in July 25, 2012. The new version 10.8 OS X Mountain Lion software is Apple’s ninth major OS X desktop and server operating system release for Macintosh computers. Around the same time in 2011, Apple rolled out the OS 10.7 Lion that was followed in February 2012 by the OS X edition update dubbed Mountain Lion. The Mountain Lion OS X 10.8 is more than just a modest improvement to its predecessors the Leopard (OS X 10.5) and Snow Leopard (OS X 10.6) editions. The Mountain Lion OS X 10.8 boast more than 200 new features, including additions like a new desktop version of Messages, AirPlay Mirroring, Notification Centre and full-screen mode for Notes. The more 200 new features seem unified by an iOS system that operates Apple’s mobile devices like the iPhone, iPad and iPod touch. The more than 200 new features packed in the Mountain Lion (10.8) do not bring any significant changes to the overall look and feel of earlier OS X editions from Apple. The Finder or desktop interface of Macintosh computers, however, has gotten an impressive facelift from previous OS editions. It includes features from iOS like Reminders and Notes that are separate applications from Calendar and Mail as well as other features that were first introduced in previous Mac OS X Lion roll outs. Messages with support for iMessages replaces iChat in the OS X Mountain Lion 10.8 to allow users to send unlimited messages to iPhones, iPads, version iOS 5 or later iPod Touches and other Macintosh computers running version 10.8 or later. Mountain Lion 10.8 also comes with version 6 Safari web browser and introduces a pops up progress indicator with a small white bar borrowed from iOS that lets you know how much file transfers from a server or drive is left. Despite the newly included Game Centre having only basic features, other new additions to the Mac 10.8 OS X Mountain Lion like syncing features and iCloud integration give an overall pleasant experience across different Apple devices. Social connectivity and sharing features are added as upgrades to core OS X applications. These core apps and new features make the OSX Mountain Lion 10.8 operating system well worth its £13.99 price that is inclusive VAT.